ZHUHAI, China (Reuters) – Chinese President Xi Jinping has elevated his country’s missile forces to a level where they pose an unprecedented challenge to the aircraft carriers and bases that form the backbone of American military primacy in Asia, a Reuters special report reveals today. Many of the missiles in Beijing’s arsenal now rival or outperform those of the United States, puncturing the protective umbrella that for decades America has afforded its regional allies South Korea, Japan and Taiwan. Critically, China has forged a monopoly in one class of conventional missiles that enable it to strike at U.S. aircraft carriers off its coast and at bases in Japan or even Guam in the Pacific Ocean. Under a Cold War-era treaty between the U.S. and Russia, neither country has been allowed to develop these weapons – land-based, intermediate-range ballistic and cruise missiles with a range between 500 and 5,500 kilometers (3,418 miles). But China, which isn’t a signatory to the treaty, has been deploying these rockets in massive numbers. Today’s special report is part of “The China Challenge,” a Reuters series on how Xi Jinping is reshaping and rejuvenating China’s military, the People’s Liberation Army (PLA), by filling its top ranks with loyal allies and enhancing its missile, naval and nuclear capabilities. That is a potentially dramatic development, signaling that China is able to deter U.S. intervention as it expands its control in the South China Sea, steps up naval and air sorties around Taiwan, and extends its operations into areas it disputes with Japan. With the United States suddenly finding itself on the wrong side of the missile gap, American military planners face a new and daunting scenario. Because some of China’s anti-ship missiles now outrange the fighter jets aboard U.S. carriers, they could neutralize American flattops in a conflict. If these carriers are forced to operate outside the range of their aircraft, they would be far less potent. The United States, which has long been preoccupied with wars in the Middle East and Afghanistan, is now rushing to claw back the advantage. President Trump announced on Feb. 1 that Washington would withdraw from its missile treaty with Russia in six months, clearing the way for the U.S. to begin building the ground-launched missiles banned for more than three decades. China’s Ministry of National Defense, the U.S. Indo-Pacific Command and the Pentagon did not respond to questions from Reuters. Reporting by David Lague and Benjamin Kang Lim. Edited by Peter Hirschberg and Elizabeth Culliford. National Interest’s article “Aircraft Carrier Scare: How Russia and China Could Sink the Navy’s Most Important Warship” on April 3, describes the vulnerability of US aircraft carriers to DF-21D anti-ship ballistic missile (ASBM). Despite US Navy’s ballistic-missile defense efforts, “the ability of a U.S. task force to manage a large barrage of ASBMs is in great question; more than anything else,” the article says. I have said in my previous posts that the limited number of warplanes from limited number of US aircraft carriers are not enough for US Navy to attack Russian or Chinese homeland as there are more fighter jets from Chinese or Russian ground air bases to defeat the limited number of warplanes from carriers. However, China is quickly developing its aircraft carrier battle groups that may attack US homeland. Due to US treaty with Russia that forbids its development and deployment of intermediate ballistic missile, the US does not have intermediate anti-ship ballistic missiles like China’s DF-21D when it is attacked by Chinese aircraft carrier battle groups. Therefore, US President Trump has withdrawn from the treaty in order to develop anti-ship ballistic missiles to improve its homeland defense against potential attack from Chinese aircraft carrier battle groups. Poor America! It now has to consider its own defense as Russia and China have been developing weapons for counterattack at US homeland in case of US attack of their homeland. Not only China and Russia, even Iran has sent its navy to the US in response to US deployment of navy close to Iran. The US is even unable to conquer small and poor Afghanistan in spite of more than a decade’s efforts, let alone Iran. Still Washington Free Beacon published an article “Why America Should Dominate the World” to argue for the necessity of American military supremacy in the world. Necessity perhaps, but inability as a matter of fact. The US had better double its military budget in order to win its arms race with China, Russia, Iran, etc. How can there be US military dominance if the US is unable to win the arms race? In 2005, USS Ronald Reagan, a newly constructed $6.2 billion dollar aircraft carrier, sank after being hit by multiple torpedoes. Fortunately, this did not occur in actual combat, but was simulated as part of a war game. The slow, sustainable underwater speed of AIP-powered diesel submarines make them less than ideal for stalking prey over vast expanses of water. In 2005, USS Ronald Reagan, a newly constructed $6.2 billion dollar aircraft carrier, sank after being hit by multiple torpedoes. Fortunately, this did not occur in actual combat, but was simulated as part of a war game pitting a carrier task force including numerous antisubmarine escorts against HSMS Gotland, a small Swedish diesel-powered submarine displacing 1,600 tons. Yet despite making multiple attacks runs on the Reagan, the Gotland was never detected. This outcome was replicated time and time again over two years of war games, with opposing destroyers and nuclear attack submarines succumbing to the stealthy Swedish sub. Naval analyst Norman Polmar said the Gotland “ran rings” around the American carrier task force. Another source claimed U.S. antisubmarine specialists were “demoralized” by the experience. How was the Gotland able to evade the Reagan’s elaborate antisubmarine defenses involving multiple ships and aircraft employing a multitude of sensors? And even more importantly, how was a relatively cheap submarine costing around $100 million—roughly the cost of a single F-35 stealth fighter today—able to accomplish that? After all, the U.S. Navy decommissioned its last diesel submarine in 1990. Diesel submarines in the past were limited by the need to operate noisy, air-consuming engines that meant they could remain underwater for only a few days before needing to surface. Naturally, a submarine is most vulnerable, and can be most easily tracked, when surfaced, even when using a snorkel. Submarines powered by nuclear reactors, on the other hand, do not require large air supplies to operate, and can run much more quietly for months at a time underwater—and they can swim faster while at it. However, the two-hundred-foot-long Swedish Gotland-class submarines, introduced in 1996, were the first to employ an Air Independent Propulsion (AIP) system—in this case, the Stirling engine. A Stirling engine charges the submarine’s seventy-five-kilowatt battery using liquid oxygen. With the Stirling, a Gotland-class submarine can remain undersea for up to two weeks sustaining an average speed of six miles per hour—or it can expend its battery power to surge up to twenty-three miles per hour. A conventional diesel engine is used for operation on the surface or while employing the snorkel. The Stirling-powered Gotland runs more quietly than even a nuclear-powered sub, which must employ noise-producing coolant pumps in their reactors. The Gotland class does possess many other features that make it adept at evading detection. It mounts twenty-seven electromagnets designed to counteract its magnetic signature to Magnetic Anomaly Detectors. Its hull benefits from sonar-resistant coatings, while the tower is made of radar-absorbent materials. Machinery on the interior is coated with rubber acoustic-deadening buffers to minimize detectability by sonar. The Gotland is also exceedingly maneuverable thanks to the combined six maneuvering surfaces on its X-shaped rudder and sail, allowing it to operate close to the sea floor and pull off tight turns. Because the stealthy boat proved the ultimate challenge to U.S. antisubmarine ships in international exercises, the U.S. Navy leased the Gotland and its crew for two entire years to conduct antisubmarine exercises. The results convinced the U.S. Navy its undersea sensors simply were not up to dealing with the stealthy AIP boats. However, the Gotland was merely the first of many AIP-powered submarine designs—some with twice the underwater endurance. And Sweden is by no means the only country to be fielding them. China has two diesel submarine types using Stirling engines. 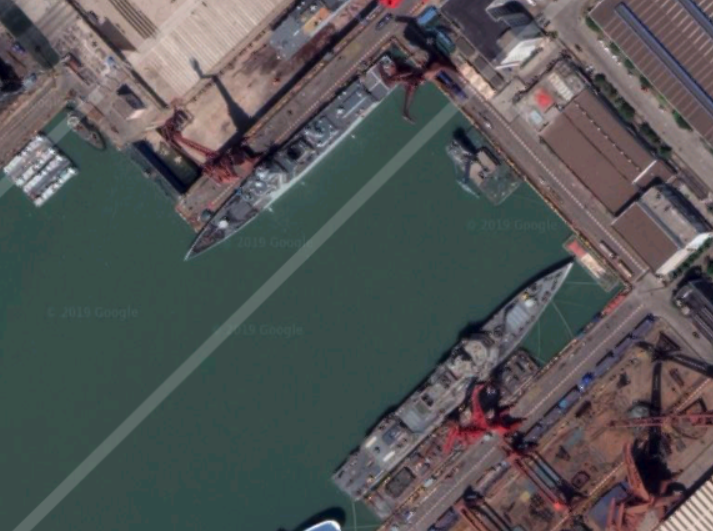 Fifteen of the earlier Type 039A Yuan class have been built in four different variants, with more than twenty more planned or already under construction. Beijing also has a single Type 032 Qing-class vessel that can remain underwater for thirty days. It believed to be the largest operational diesel submarine in the world, and boasts seven Vertical Launch System cells capable of firing off cruise missiles and ballistic missiles. Russia debuted with the experimental Lada-class Sankt Peterburg, which uses hydrogen fuel cells for power. It is an evolution of its widely produced Kilo-class submarine. However, sea trials found that the cells provided only half of the expected output, and the type was not approved for production. However, in 2013 the Russian Navy announced it would produce two heavily redesigned Ladas, the Kronstadt and Velikiye Luki, expected by the end of the decade. Other producers of AIP diesel submarines include Spain, France, Japan and Germany. These countries have in turn sold them to navies across the world, including to India, Israel, Pakistan and South Korea. Submarines using AIP systems have evolved into larger, more heavily armed and more expensive types, including the German Dolphin-class and the French Scorpene-class submarines. The U.S. Navy has no intention to field diesel submarines again, however, preferring to stick to nuclear submarines that cost multiple billions of dollars. It’s tempting to see that as the Pentagon choosing once again a more expensive weapon system over a vastly more cost-efficient alternative. It’s not quite that simple, however. Diesel submarines are ideal for patrolling close to friendly shores. But U.S. subs off Asia and Europe need to travel thousands of miles just to get there, and then remain deployed for months at a time. A diesel submarine may be able to traverse that distance—but it would then require frequent refueling at sea to complete a long deployment. Remember the Gotland? It was shipped back to Sweden on a mobile dry dock rather than making the journey on its own power. Though the new AIP-equipped diesel subs may be able to go weeks without surfacing, that’s still not as good as going months without having to do so. And furthermore, a diesel submarine—with or without AIP—can’t sustain high underwater speeds for very long, unlike a nuclear submarine. A diesel sub will be most effective when ambushing a hostile fleet whose position has already been “cued” by friendly intelligence assets. However, the slow, sustainable underwater speed of AIP-powered diesel submarines make them less than ideal for stalking prey over vast expanses of water. These limitations don’t pose a problem to diesel subs operating relatively close to friendly bases, defending littoral waters. But while diesel submarines may be great while operating close to home—the U.S. Navy usually doesn’t. Still, the fact that one could build or acquire three or four diesel submarines costing $500 to $800 million each for the price of a single nuclear submarine gives them undeniable appeal. Proponents argue that the United States could forward deploy diesel subs to bases in allied nations, without facing the political constraints posed by nuclear submarines. Furthermore, advanced diesel submarines might serve as a good counter to an adversary’s stealthy sub fleet. However, the U.S. Navy is more interested in pursuing the development of unmanned drone submarines. Meanwhile, China is working on long-enduring AIP systems using lithium-ion batteries, and France is developing a new large AIP-equipped diesel submarine version of its Barracuda-class nuclear attack submarine. The advent of cheap, stealthy and long-enduring diesel submarines is yet another factor placing carriers and other expensive surface warships at greater risk when operating close to defended coastlines. Diesel submarines benefitting from AIP will serve as a deadly and cost-effective means of defending littoral waters, though whether they will can carve out a role for themselves in blue water naval forces operating far from home is less clear. Note: This is National Interest’s article I post here for readers’ information. It does not mean that I agree or disagree with the article’s views. The USS Gerald R. Ford, the first in a new class of aircraft carriers, will be delivered to the U.S. Navy three months later than planned. The Navy says the delay is necessary to resolve issues with the ship’s nuclear propulsion system and elevators designed to lift munitions up to the hangar. The technologically ambitious Ford, which introduces several technologies to frontline service, is already at least two years behind schedule. The Navy, per USNI News, says that the Ford won’t be delivered to the fleet in July as originally planned but October. The service says that it needs the extra three months beyond the planned 12 months shakedown period to make adjustments to the nuclear propulsion system and fix the Advanced Weapon Elevators. The problem with the propulsion system isn’t related to the nuclear reactors but rather the turbines driven by the steam produced by the reactors. The Advanced Weapon Elevators, on the other hand, are an ongoing problem. Unlike past elevators, the AWEs use electromagnetic propulsion to move munitions from the magazine to waiting aircraft. The electromagnetic powered elevators, as UPI reported earlier this month, are designed to lift 20,000 pounds of munitions at a rate of 150 feet per minute. Older elevators on the previous Nimitz-class moved 10,500 pounds of munitions at 100 feet per minute. Technical problems saw the Ford commissioned into the U.S. Navy in July 2017 with zero of the planned eleven elevators. Ford current has two certified and working elevators. The USS Ford, which includes other technologies such as an electromagnetic aircraft catapult, a new system for landing aircraft, and a new radar, is now more than two years behind schedule and at least 22 percent over budget. Originally forecast to cost $10.5 billion, the carrier’s construction cost is now at $13.027 billion, making it the most expensive warship ever built. Almost all of the new technology has had developmental problems and cost overruns–for example, the cost of the landing system has tripled from $301 million to $961 million dollars. Ford is scheduled to make its first operational deployment cruise in 2021. It’s unknown if this latest delay will impact that schedule at this point. Built by Huntington Ingalls Industries in Virginia, Ford is the first of its kind. The Navy has identified two follow-on ships for now, John F. Kennedy and Enterprise, and eventually all of the service’s Nimitz-class carriers will be replaced by Ford-class ships. Note: This is Popular Mechanics’ report I post here for readers’ information. It does not mean that I agree or disagree with the report’ views. China’s third aircraft carrier, known only as the Type 002, is now taking shape at Shanghai’s Jiangnan Shipyard at a pace much faster than previously estimated. 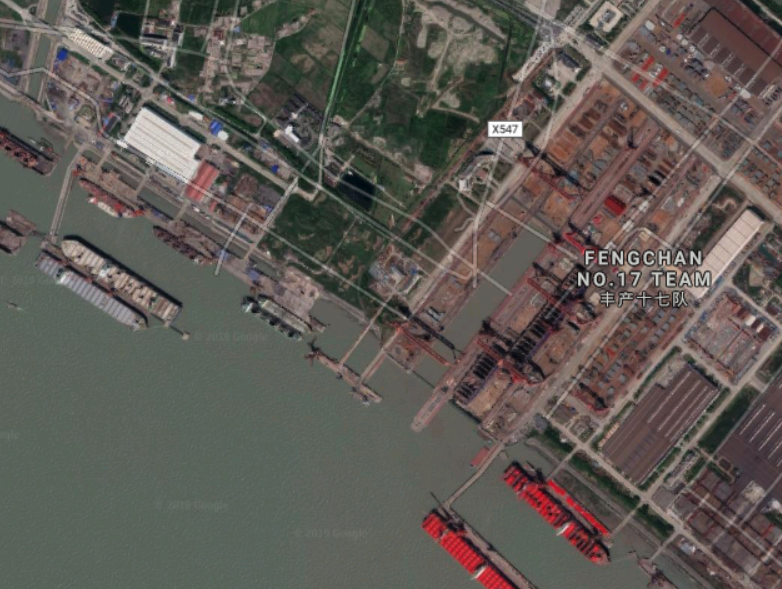 Satellite images viewed by military observers show rain shelters have been erected above at least two slipways on the south shore of Shanghai’s Changxing island where the shipyard is located, and two new gantry cranes are also visible. All of these did not exist a year ago. The size of the rain shelters suggests that the vessel, with key parts of its hull being built on different platforms, will dwarf the first Chinese-built carrier, known only as Type 001A, which underwent sea trials last year. The speed from conception of the more advanced Type 002 to its upcoming keel-laying has prompted some pundits to suggest the new carrier could be put to sea for the first time around 2023. Previous reports by the Kanwa Defense Review claim that Type 002 will sport a flat-top design equipped with steam catapults, so fighter jets will no longer be ejected from a ski-jump ramp like those on the Liaoning and Type 001A. But the new ship will still be conventionally powered. Meanwhile, the People’s Liberation Army has quietly boosted its fleet of destroyers on par with the US Navy’s Aegis–class warships to at least 28, according to a rough calculation based on reports by Chinese papers and satellite photos. That number suggests that the PLA may ultimately maintain four carrier strike groups by the end of 2020s. That means Beijing could be looking at two to three similar flat-tops in Shanghai and Dalian one after another in the following years, in an expansion spree to rival the United States’ naval prowess in the Western Pacific. Beijing needs to rev up construction and commissioning of newer carriers, as by that time the Liaoning – a refurbished Soviet vessel built in the 1980s – may be obsolete and facing retirement. Zhu Yingfu, chief designer of the Liaoning, said in a speech in April 2018 that although the US had 11 carriers, it was likely that China would need far fewer. “The US says it needs 10 carriers. We may not need that many, but there should be at least three. If conditions permit, there should be four or five,” he said. If Beijing manages to make steady headway in the next decade towards its ambitious carrier-building goal for a “blue water” navy, then the US may no longer rule the roost in the region. And that may bode ill for Taiwan. Beijing has also made no secret of its plan to launch nuclear carriers. Its first nuclear-powered vessel is expected to join the navy by about 2030 at the latest. That would ultimately bring the total number of Chinese carriers to six, according to local military experts. The US Navy, with its considerable combat experience and global reach, would still be superior in 10 years, but the size of the Chinese fleet would be larger and the gap in technology and training would also have been reduced. Note: This is Asia Times’ report I post here for readers’ information. It does not mean that I agree or disagree with the report’ views. Rail gun is very powerful due to the high speed of gun shot. The US is the first to test such a gun on ground without much success. China, though a late commer, has been testing the gun on a warship. DF-26 is China’s new generation of intermediate ballistic missiles very powerful in hitting ground and surface targets. In 2018, it has passed the tests of trial installation and operation and combats. Now some rocket force units are entirely installed and operating such missiles. On May 8, 2018, the outline sketch of a new-type long-range bomber emerges in the major promotion film “Large Nation Takes Off” issued by the aviation industry. Outsiders speculate that the bomber is China’s new-type B-20 bomber, about which there had been lots of rumors. Later CCTV’s documentary “Permanent Soul of the Army” also mentions “great progress obtained in the research and development of the new type long-range strategic bomber H-20”. It enhanced outsiders’ speculation. After the three sea tests of the carrier on May 13, August 26 and October 28, China’s homegrown aircraft carrier began its fourth sea test on December 27. The frequent sea tests indicate smooth progress of the tests and there is the speculation that the carrier will soon be commissioned. The test attracts keen interest among Western media and military analysts as Type 055 destroyer is bigger and more advanced than those of the US, Japan, South Dorea. On November 6, J-10Bs displayed highly difficult maneuvers such as Cobra and leaves floating maneuvering enabled by their thrust vector engines. The show indicates China’s mastery of thrust vector technology. In the past China lacks aerial refueling tanker due to insufficient production of IL-78s to satisfy its demand for large transport aircrafts. As China is able to make large transport aircrafts Y-20 itself now, it is able to modify Y-20 for aerial refueling. That has greatly increased the range of Chinese warplanes. Comment by Chan Kai Yee on mil.huanqiu.com’s report, full text of which in Chinese can be viewed at http://mil.huanqiu.com/world/2018-12/13916315.html. According to its report “China makes turbine blade breakthrough that could give Type 055 guided-missile destroyers an edge” the day before yesterday with Russian help, China has achieved “Milestone” advance in turbine blade development to “give Type 055 guided-missile destroyer an edge”. The blade is the core component of powerful gas turbines. With such powerful turbines the destroyers may be equipped with super efficient integrated electric propulsion systems (IEPS) that would allow it to operate high-energy, hi-tech weapons such as laser guns and rail guns much more powerful than conventional weapons. If such blade is used in the gas turbines of China’s new aircraft carriers, there will be sufficient energy for electromagnetic catapults. Comment by Chan Kai Yee on SCMP’s reports, full text of which can be viewed at https://www.scmp.com/news/china/military/article/2179553/china-makes-turbine-blade-breakthrough-could-give-type-055.